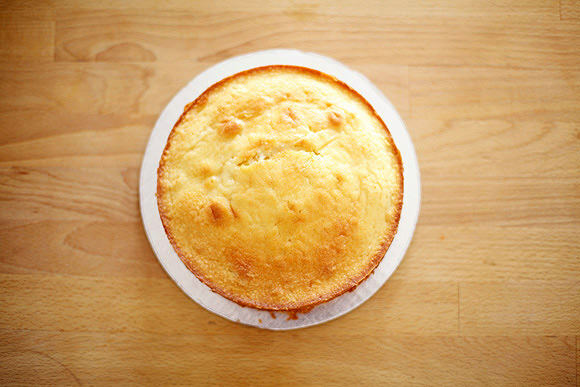 Place your baked and cooled cake on a cake board or cake plate. 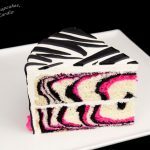 I used a sin­gle layer cake and lev­eled the top with a ser­rated knife. Though, leav­ing the rounded dome top on the baked cake would also make a nice seal face! 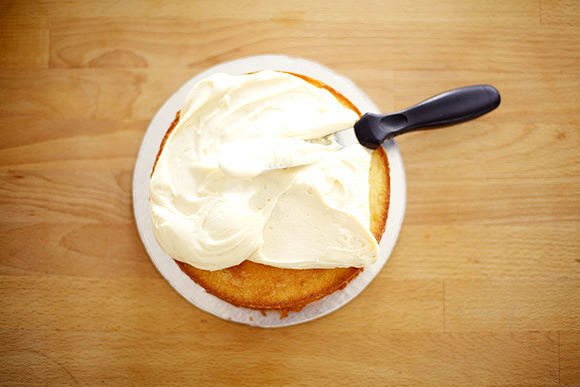 Cover the entire cake with a thick layer of creamy frosting. Using clean hands, scoop up the shred­ded coconut and place it right on top of the frost­ing, lightly pat­ting it in to adhere. Cover the entire top and sides of your cake with shred­ded coconut. Tap away the excess coconut. 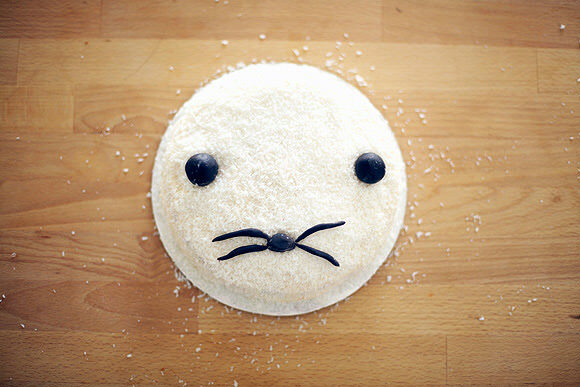 Serve this cute and sim­ple seal cake with Swedish Fish can­dies and tuna nigiri sushi! What other treats would you serve dur­ing an Arc­tic explor­ers party? Maybe lit­tle bowls of sauer­kraut and lemon slices to stave off scurvy! 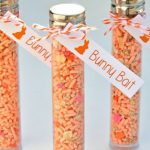 A funny idea but the kids might pre­fer candy.